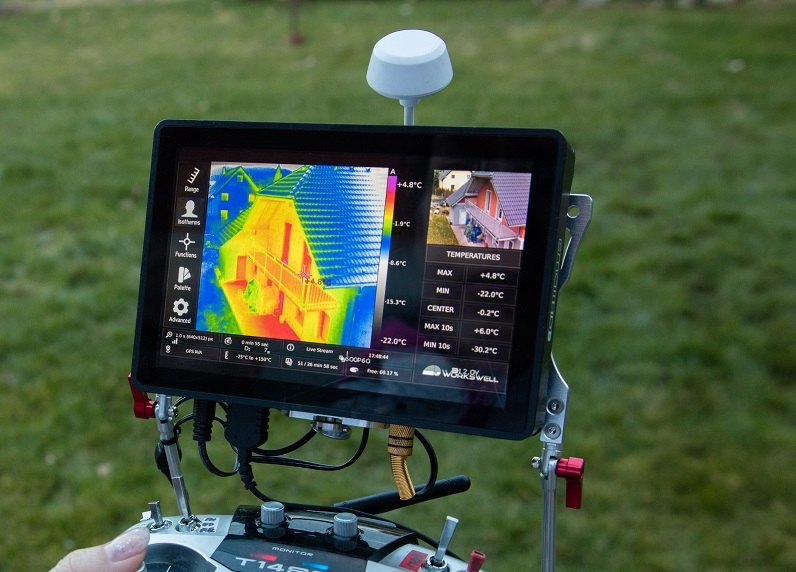 Thermographic diagnostics of buildings was one of the first areas where thermography was commercially used in the 1960s. 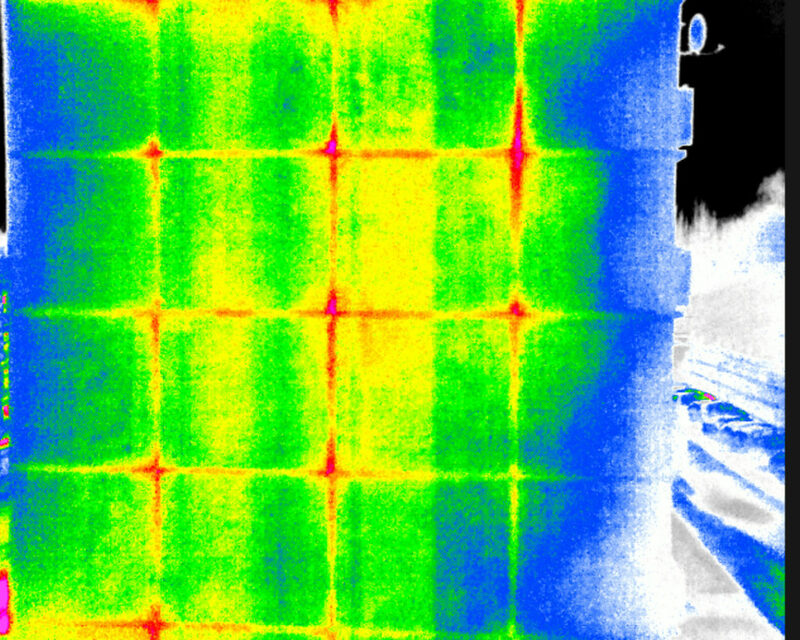 A thermal camera can discover several construction defects that cannot be seen by the naked eye at the beginning and may only become obvious after some time when the building starts to degrade. The most frequently discovered problems relate to thermal bridges, water leaks and air proofing. Continuously increasing energy prices have brought the need for buildings with increased heat insulation demands. 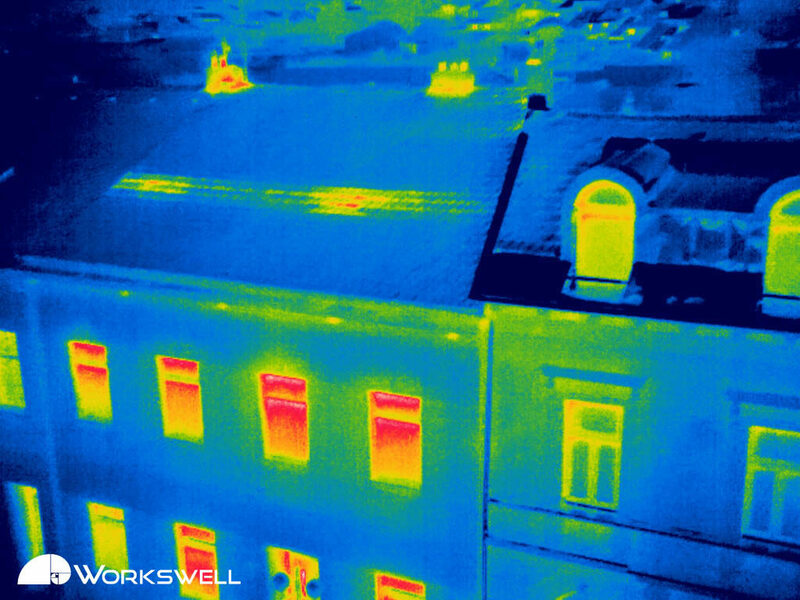 Thermography is the ideal way of finding thermal bridges and unprofessional or inadequate insulation. Practice shows that the work of suppliers is unfortunately not always of the highest quality and their clients are cheated. Sometimes, the quality of the construction work is not high enough to achieve the result expected from the house causing redundant energy losses, mould, etc. Using a ‘thermal camera’, things can be seen in the construction that are not visible to the naked eye. Thermographic measurements can find errors and produce professional measurements showing conclusively where the errors are. The client receives material which can be used for successful discussions with a negligent supplier. 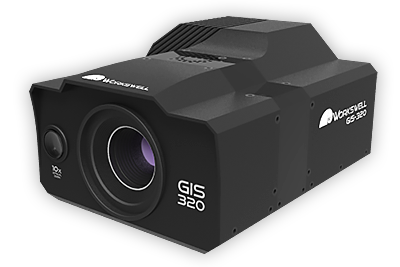 Until recently mainly manual devices were used during thermographic inspections of buildings. They are perfect for measuring interiors. However, when measuring exteriors, the problem is trying to map the whole exterior of the building. Often, not only with high buildings, but also family houses where most of the roof is not easily accessible it is unsafe to inspect the construction quality manually. To determine the level of defectiveness, the measured surface temperature must be known as precisely as possible. So, the thermal camera must be calibrated. 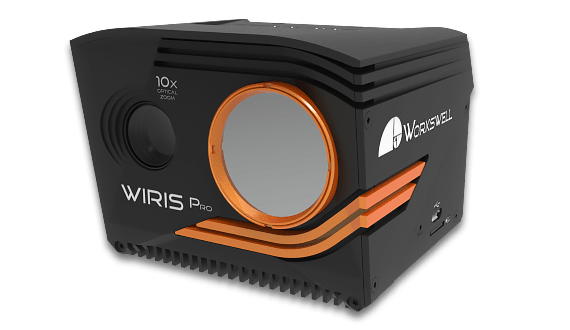 Here at Workswell we are well aware of this and, therefore, each delivered WIRIS system is manually calibrated and the declared precision is ensured. The system also includes a calibration certificate confirming the declared precision. 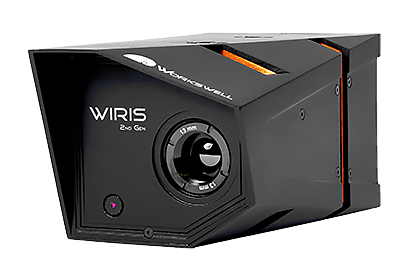 Moreover, Workswell’s WIRIS can be fully controlled from the ground by a standard RC control unit that is already used to control your drone. During the flight, the emissivity and the reflected temperature can be changed but more importantly the temperature range setting can be corrected. This is very important when searching for defects as you can select which image will be produced mid-flight. 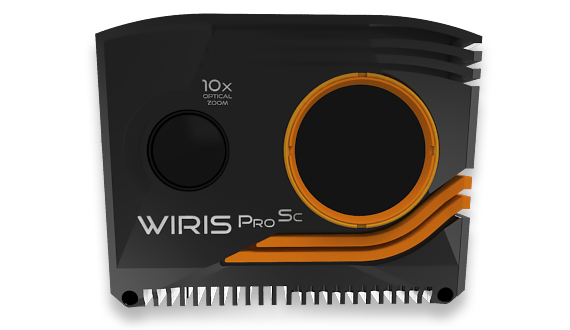 Another important advantage of the WIRIS is that a traditional photo is produced for each thermal image. 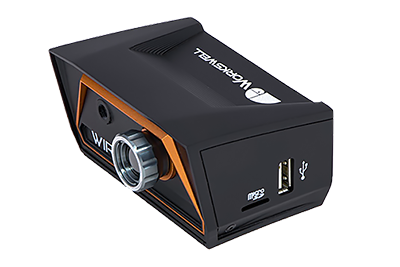 This is necessary in practice because it is difficult to identify from a thermal image the individual parts of the construction. When photographing buildings, the data must be processed into the measuring report. Therefore, Workswell WIRIS stores all its data as radiometric and later a measuring report can be produced which proves the conclusion of the measurement and can be used in a claim. Thermography is perfect for verifying that construction work has been correctly carried out and inspecting constructions. If a thermal camera discovers errors in the heating or construction of the building, the produced report and the calibrated camera will give you a cogent argument to make a claim. For high buildings or when inspecting roofs (where defects are the most common) it is very difficult to check the masonry using a manual thermal camera. 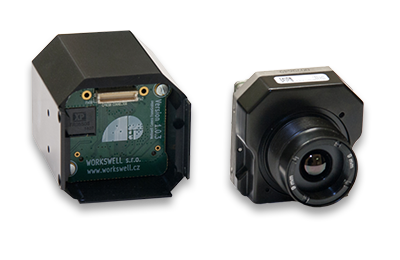 A good solution is Workswell’s WIRIS thermal imaging system for drones, which is just as accurate as manual systems. Moreover, the system is calibrated and, therefore, the results of the measurements are conclusive. 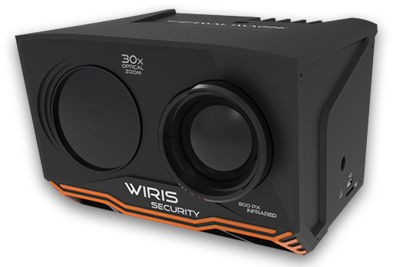 The other very important feature of the WIRIS system, which convinces people to select this application, is that the GPS coordinates can be stored to each saved image. This is important because a lot of inspections are carried out for large buildings. It must be possible to determine from the produced images where to send technicians for additional analysis of suspicious panels. After measuring it must be possible to produce a report on notified problems. Therefore, in the Workswell CorePlayer software, measuring reports can be created. Another important function is manually setting the temperature range. Without this the meaning of individual colours in the image will be permanently changed and you will not be sure whether the panel has a high temperature increase which indicates a problem or a minor deviation. Practice show that this function can decrease the inspection time by up to ten times!